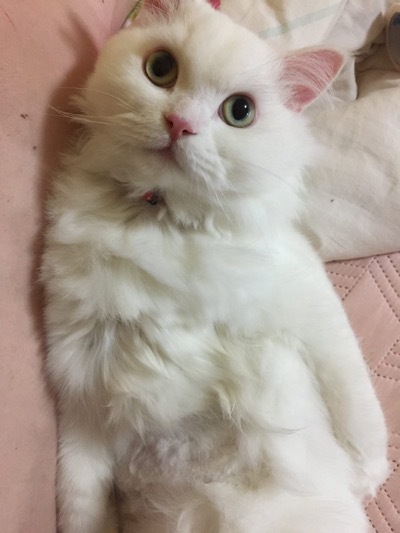 Meet Jon Snow, he was found all alone in an alleyway in South Korea, barely alive. 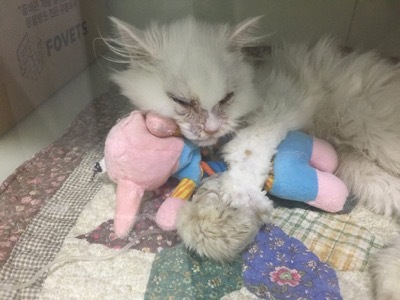 This poor little kitty was starving, dehydrated and had a severe upper respiratory infection. No one thought Jon Snow would survive, except for Rachel Brown. 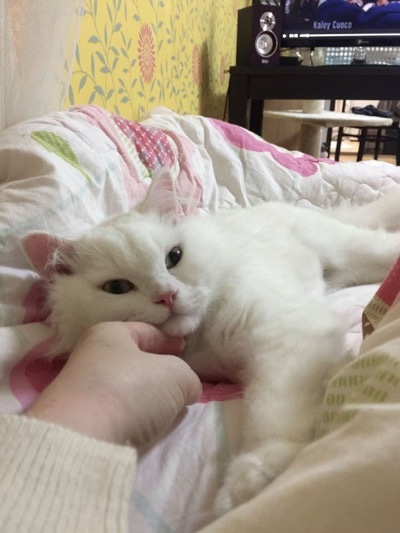 She had already decided to adopt a cat and had been scouring lists of all the cats that had been brought into kill shelters. As soon as she saw John Snow she knew immediately that he was the one for her. When Rachel arrived at the shelter to pick up Jon Snow, he was hunched over in an uncomfortable wire cage, a plate of untouched food in front of him. He looked so helpless, and in desperate need of a miracle. 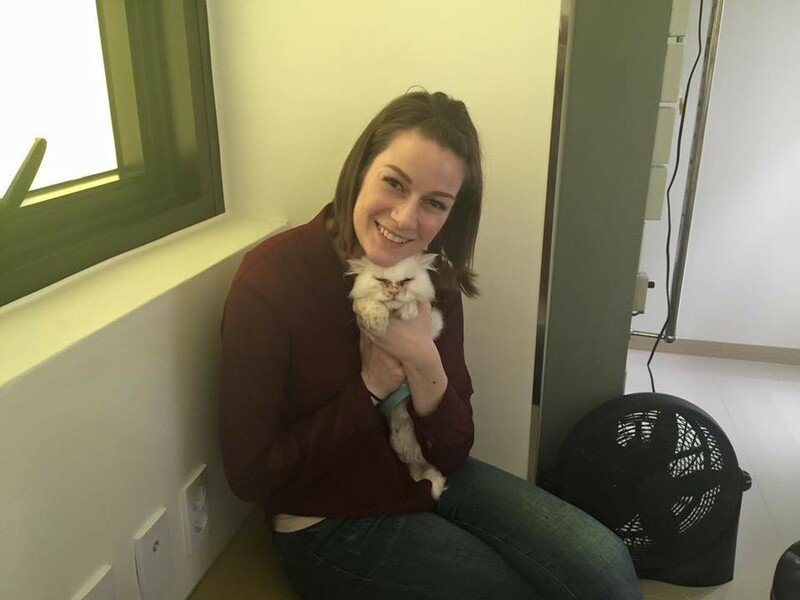 She filled out the paperwork as quickly as she could and immediately rushed him to the emergency vet. 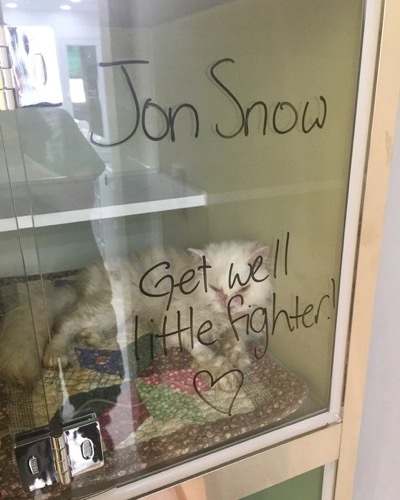 Once at the vets, they suggested putting Jon Snow down because he likely wasn’t going to make it, even with treatment. 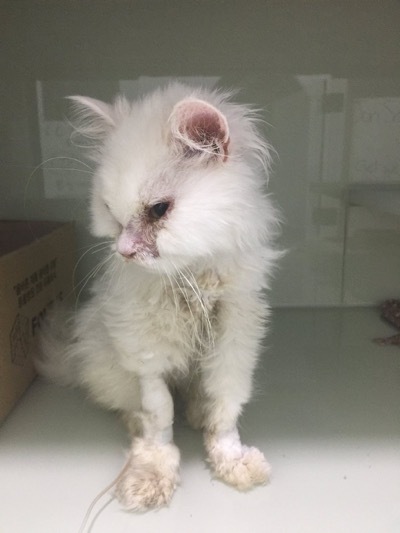 He was diagnosed with several infections, including feline coronavirus (FCoV) and feline herpesvirus (FHV). 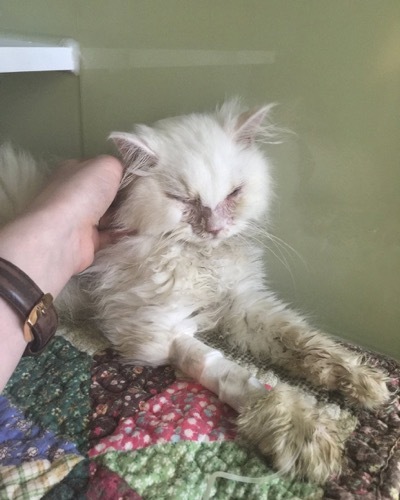 Vets were also convinced that he had feline infectious peritonitis (FIP), which is often fatal. Rachel didn’t listen and asked them to begin his treatment. 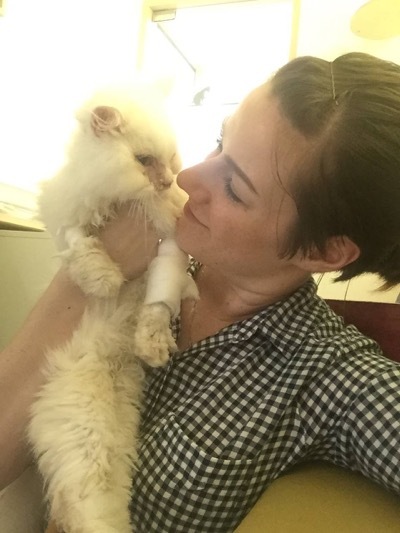 Rachel visited Jon Snow every day while he was in the hospital and he seemed to get a little bit better every day. On his fifth day in hospital, all of his tests came back normal. 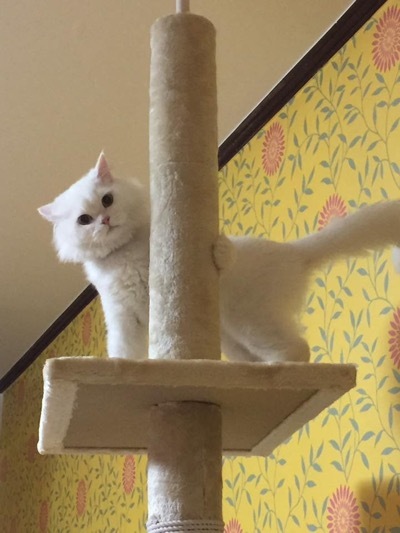 The vets said they had never seen anything like it. Somehow, Jon Snow had pulled through. Rachel decided to take a chance on Jon Snow and by doing so she saved his life. You can see more of Jon Snow on his Facebook page.